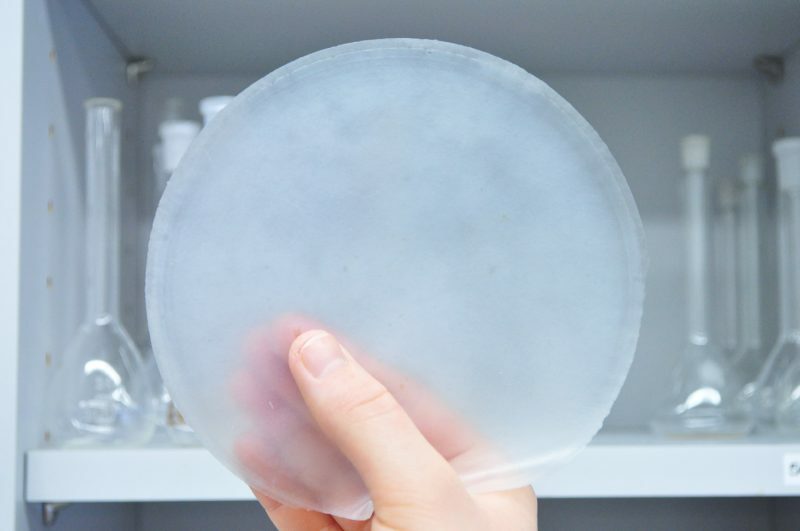 Nanofibrillar cellulose can be used as a platform to support medical testing. Nanofibrillar cellulose, or NFC-platform is more environmental friendly and can be used in many more different ways than its traditional competitors, plastics platforms. The NFC-platform can be made water-resistant or waterproof and its electric charge can be changed. Furthermore, it does not absorb the sample. The platform is durable and low-priced and it can be used to perform thousands of medical tests. Using the NCF platform means testing is not confined to laboratories. The tests can be carried out at the doctor’s practice or even at home. In addition to this, the waiting time is shorter than previously. The NFC-platform works with help of antibodies. The platform is coated with antibodies already at the factory. These antibodies react to the tested sample, which is dripped on the platform at the testing place, by absorbing them up or changing the manufacturing color of the platform. The film can also be used in medical diagnostics, as well as to examine water purity, for example.